Experience the power of Tsugami. 866.224.8576 | info@remsales.com | www.remsales.com Introducing the Tsugami M08J! The M08J allows you to do many machining operations from turning, drilling, boring, and thread cutting. The manual tailstock with programmable quill provides additional support for long or slender machining operations. 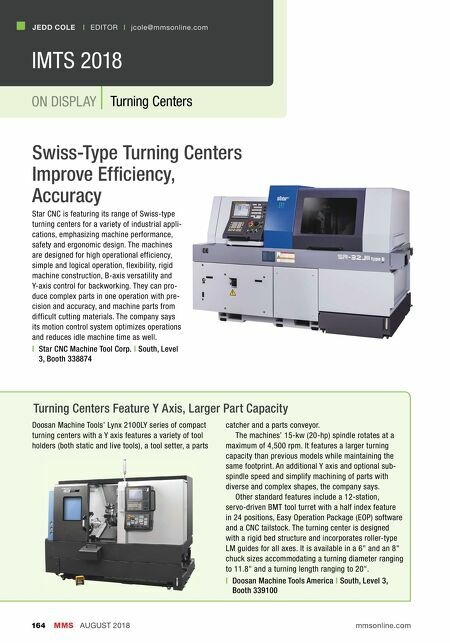 This machine features a rigid construction using a boxed way for the X-axis with oversized linear guides for the Z-axis for heavy-duty machining. Thermal displacement compensation comes standard. Ideal for a wide range of applications, the M08J is built for the long haul. 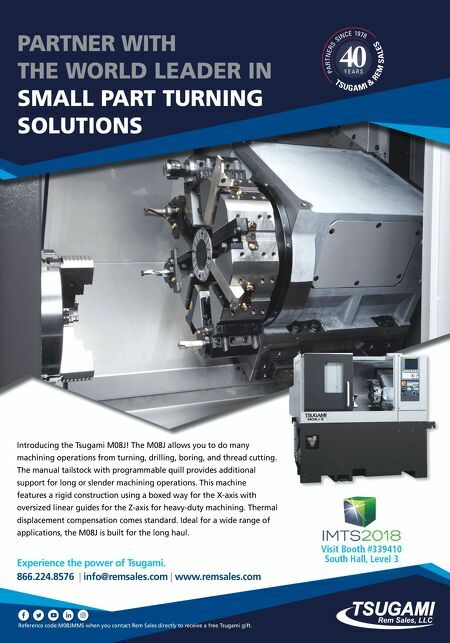 PARTNER WITH THE WORLD LEADER IN SMALL PART TURNING SOLUTIONS Reference code:M08JMMS when you contact Rem Sales directly to receive a free Tsugami gift.